This is the classic reference on wire bonding - expanded and updated! "Wire Bonding in Microelectronics Second Edition" the definitive single-volume reference on wire bonding just got better - in an extensively updated edition with over 100 new pages on new materials, new interconnect techniques such as fine pitch wire bonding, and evaluating the pros and cons of alternative bonding technologies. Wire bonds are used to interconnect integrated circuits, multichip modules and hybrids, and microwave as well as power devices to their packages. 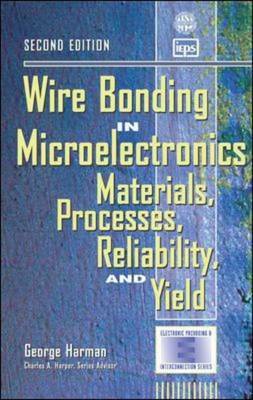 The book explains it all, with special emphasis on fine pitch bonding, bonding to MCMs, and additional areas that have been developed since the first edition was published.Readers will learn to: understand the bonding technology; test wire bonds; make reliable bonds at a very high yield; bond wires to multichip modules; solve common bonding problems; evaluate alternative bonding technologies; and, improve bondability and reliability via more effective cleaning techniques.